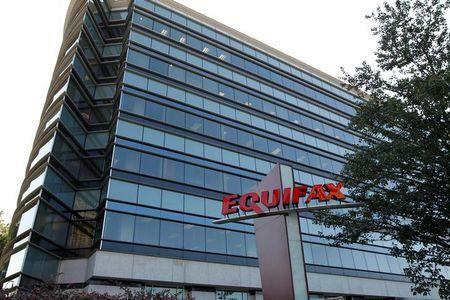 (Reuters) - Equifax Inc on Friday issued a fourth-quarter profit outlook that fell short of Wall Street expectations, saying the massive breach of its consumer data earlier this year would hurt sales and result in costs of $60 million to $75 million during the period. Executives at the credit-reporting company blamed the expected revenue decline on delays in contract signing from business and government customers, which began in the third quarter and continued into the current quarter. "We're hoping to win back their trust and then be able to regain the business that we've indicated has been deferred," Chief Financial Officer John Gamble said in the call. "We're still working through that process." Equifax shares were little changed in midday trading. They have dropped around 25 percent since the company's Sept. 7 disclosure of the breach that exposed sensitive data on 145.5 million consumers. Analysts on Friday's call probed Equifax for further details on its recovery effort. The company declined to provide estimates on total costs from the breach or say how much might be covered by insurance. "When is your cyber security going to be up to code, or up to standard, or however you want to define that?" asked Wells Fargo Securities analyst William Warmington. "This is a journey," interim Chief Executive Paulino do Rego Barros Jr responded, saying the firm was working to make sure its security team could protect current systems. The company forecast fourth-quarter adjusted profit of $1.32 to $1.38 per share, below the average forecast of $1.42 per share, according to Thomson Reuters I/B/E/S. It said fallout from the breach will cut revenue by 3 percent to 4 percent in the quarter. The company expects revenue of $825 million to $835 million, compared to the average analyst forecast of $833.65 million. Investors are looking for clues to help assess whether the breach will have a long-term impact on the company's sales and profit, Stephens Inc analyst Brett Huff said. The latest management commentary “generally supports the view that the long-term business model looks at least okay," said Huff, who has an "equal weight" rating on Equifax shares. Equifax also said it has halted a share buyback program.